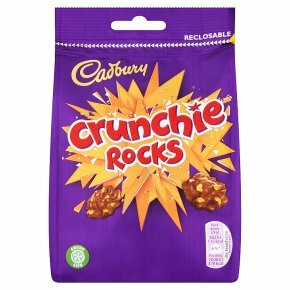 Crispy Crunchie honeycomb pieces and golden cornflakes tumbled in Cadbury milk chocolate. Ideal for sharing with family and friends. Suitable for vegetarians.